Chip & Joanna Gaines Fixer Upper Alert (priced per condition). 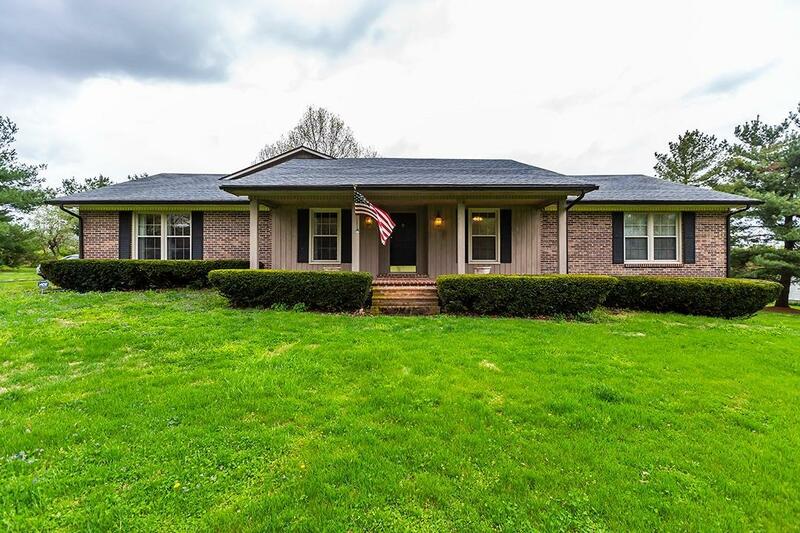 Country living within minutes of downtown Paris and a short drive to Lexington or Georgetown. Ranch style home featuring vaulted ceiling in family room with masonry wood burning fireplace and situated on 3.999 +/- acres of land. Per sellers (best of their knowledge) windows replace in 2003, roof shingles replaced in 2004, water heater replaced in 2000 & 45' x 30' Morton Building with 2 large doors 2001. Dwyer added foundation supports on the side basement wall because of horizontal cracks and the block foundation wall has some bowing. Home is being sold as is with inspections welcome.